Thank you Gill 🙂 Yes I had heard, I hope they do return next year. Stephanie said it was becoming unmanageable because of how it had grown but her sister will be on her own too…I hope they can work something out that suits both of their lives. Yes. Their products are so good and I have only found them recently! Still, family must always come first. This is beautiful Karen and the vellum is a great touch! 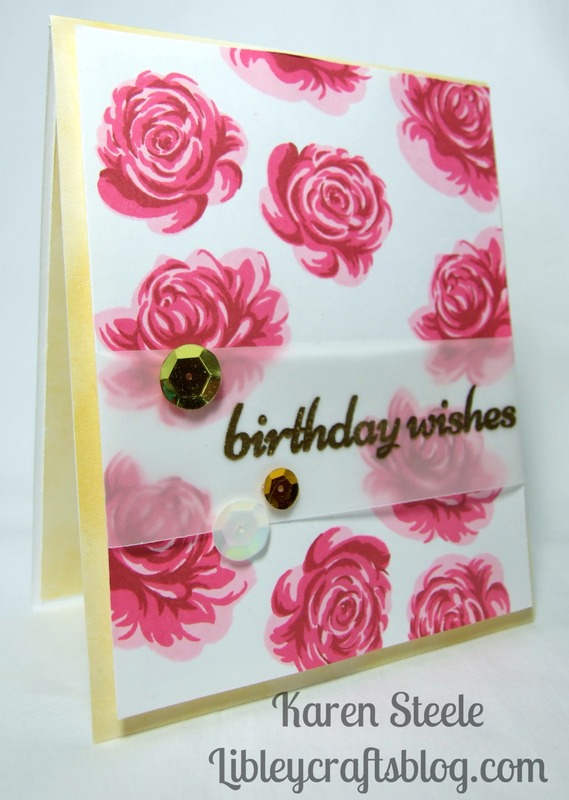 I love emboss a piece (same size as the card) and add it on top of the background – it adds a whole new look. Great card! Those pink roses are so pretty! Great touch with the vellum, too! What a beautiful, elegant card. Love the softness the vellum gives. Don’t you love your MISTI? Thanks Brenda! Yes, I do love my MISTI!!! Beautiful card, Karen! Love the roses! 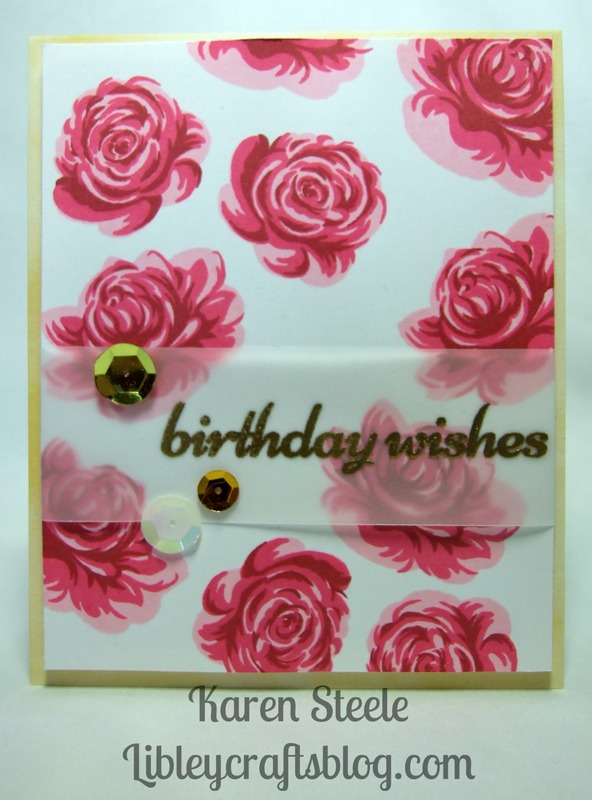 Beautiful card Karen!! Love the vellum!! You are a true master with these stamps! !